After the unprecedented success of "Frozen," Walt Disney Animation Studios was at the absolute peak of success. Funny thing about climbing peaks, though - there's always a steep drop on the other side. The potential drop of any film released in 2014 was made potentially steeper by the fact that after 2013's 'Frozen,' Disney was setting off in an entirely new direction. It had to figure out a way to incorporate characters acquired from Marvel Entertainment into one of its own 3D animated feature films, grafting in an alien superhero drama without losing the uniqueness of the Disney product. It was a bit like coming on stage before a packed house to sing right after Frank Sinatra, and with a band you had just thrown together via auditions. The potential rewards were high, but so were the risks. The product that animation studio boss John Lasseter and fellow producer Ray Conli came up with was 'Big Hero 6' (2014), directed by Don Hall and Chris Williams. Williams was no newcomer to big Disney productions, having worked in the story department for a sequence of hit films beginning with 'Mulan.' He also helped direct 'Bolt," not a huge success but a solid effort. Hall, meanwhile, was a writer who came up with the stories for a string of Disney good-to-middling successes beginning with 'Tarzan,' and who had cut his directing chops on 2011's 'Winnie the Pooh.' As directors, they were loaded with writing talent and a little lean on actual directing experience. Their backgrounds as writers more than directors tends to show in the finished 'Big Hero 6' film, which is inventive and lots of fun, but not quite the epic film it could have become. Hiro Hamada is a budding genius at all things robotic. He lives in San Fransokyo, which is kind of like a futuristic San Francisco if Japan had won World War II (no, nobody else is going to tell you that). His older brother Tadashi recognizes Hiro's genius but thinks his little brother is squandering his talents on frivolous games (Hiro engages in the equivalent of back-alley dog fights with his robots). To try to jump-start some seriousness in little brother, Tadashi takes Hiro to his laboratory at school and introduces him to friends and fellow geeks GoGo, Wasabi, Honey Lemon and Fred. Hiro is impressed by the group's robotic projects, including Baymax, a giant, puffy healthcare robot, and decides to apply to the school. As part of his application, Hiro designs microbots, tiny nanobots which Hiro can control via telepathy (yes, this is the kind of film where telepathy and such is just a given). Profession Robert Callaghan, head of the Robotics Department, immediately offers Hiro an invitation to the school. Well, so would I! However, Alistair Krei, owner of his own robotics company Krei Tech, also learns of the microbots and tries to buy them. Hiro has other plans for them and refuses. Shortly after this, a mysterious fire suddenly devastates the lab and kills both Professor Callaghan and Tadashi, with the microbots presumably lost in the blaze. Hiro is heartbroken at this disaster and loses interest in school. After a while, he inadvertently activates Baymax, but as he is trying to figure out how to shut the big boy back down he suddenly discovers a microbot in his pocket that was not destroyed in the fire (what a coinky dink!). The microbot for no apparent reason suddenly leaves the building like Elvis, and Baymax, who is still activated, chases after it like a good little doggie (yes, robots are often used as dog substitutes in these films, especially where boys are involved). The microbot leads them to what appears to be an abandoned warehouse. However, it turns out to be the site of an assembly line that is producing more of Hiro's microbots (and without paying any royalties!). A scary masked man who is in control of the microbots chases them away. Realizing that something odd has happened (ya think?) which may be tied in to the mysterious fire at the lab, Hiro uses his robotic talents to convert Baymax from an inoffensive healthcare aide into a fighter, reminiscent of the kind that Hiro had been playing around with at the beginning of the film. Then, he uses the surviving (well, you know what I mean) microbot to track down the masked man at the city docks, and there he accidentally runs into Tadashi's friends again. 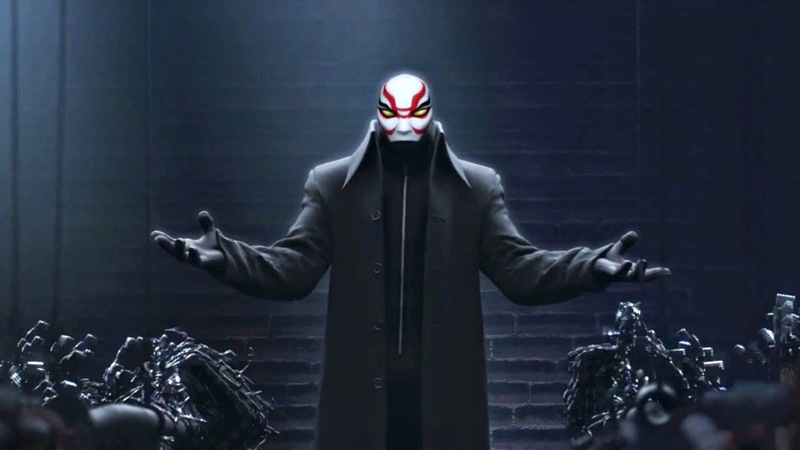 The masked man appears and chases them off, and they all (there are six good guys in all - Hiro, Baymax and the four friends - hence the film's title 'Big Hero 6') hide out at Fred's place. 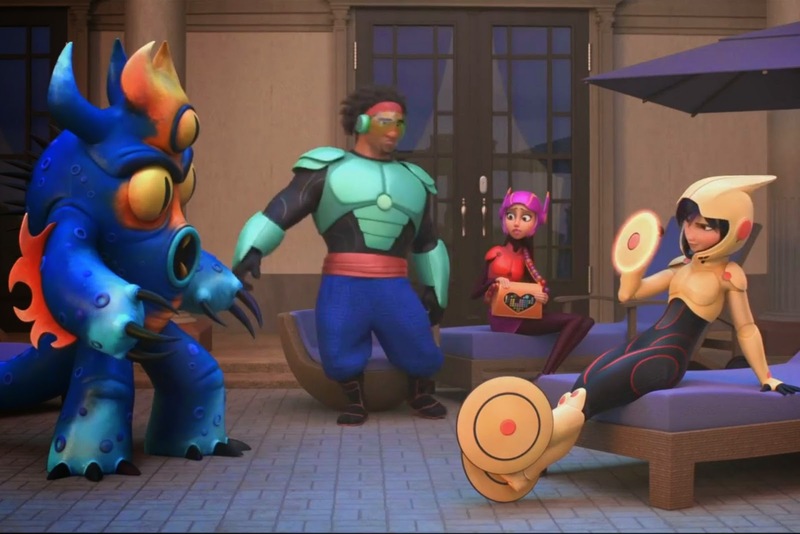 Still at a loss as to who the masked man is, Hiro goes to work on Baymax and upgrades his powers, and also gives Tadashi's friends supersuits related to their own science projects. Baymax uses his new powers to locate the masked man on an isolated island near the city which is off-limits to visitors. Heading there, the group discovers an abandoned Krei Tech lab that was performing experiments in teleportation. Everyone immediately leaps to the logical conclusion that the masked man is Krei, and when he reappears they unmask him. They find to their surprise that it is instead Professor Callaghan, who survived the fire by using Hiro's microbots. This deception infuriates Hiro, who removes Baymax's healthcare chip (which has one of those 'do no harm' Hippocratic things in it) so that the robot can kill Krei in revenge (which is why they have the 'do no harm' chip in there in the first place). However, with the aid of Tadashi's friends who don't want a death on their hands, Callaghan recovers his mask and escapes. This further infuriates Hiro, who vows to find Callaghan and finish the job. After cooling down and with some sentimental input from Baymax, Hiro investigates further and discovers that Callaghan is actually pursuing his own revenge against Krei Tech, which he blames for the death of his daughter years earlier in an experiment gone awry. Realizing that Krei is in danger, Hiro and the others find Krei being held captive by Callaghan, who is using the microbots to destroy Krei's business. In the ensuing confusion they learn that Callaghan's daughter isn't dead after all, but they have to escape the building before it collapses on them. Everybody makes it out of the building, though Baymax is severely damaged. Afterwards, Callaghan confesses what he was up to and is arrested. 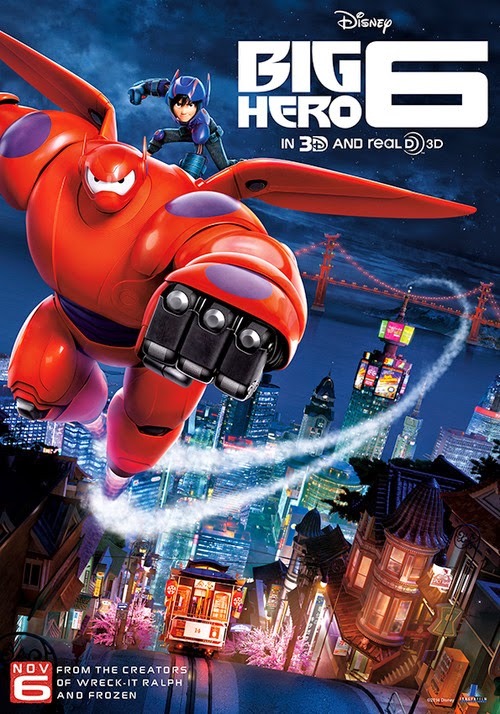 Hiro rebuilds Baymax using parts that survived the building collapse, and GoGo and the others team up with Hiro, determined to right more wrongs in San Fransokyo. 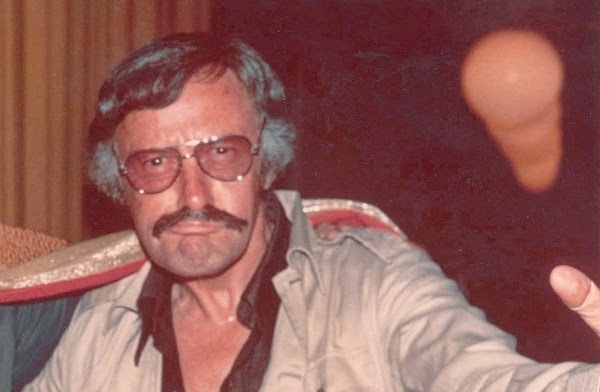 Fred's father (Stan Lee in a nice cameo), meanwhile, turns out to be a secret superhero who may have some ideas about future adventures. Can we say... sequel???? Wasabi - Damon Wayans, Jr. They all do their own stereotypical schticks - you have the neurotic neat freak, the quiet tough character who apparently is supposed to be original because it's a girl and not a guy (but even that we saw in 'Starship Troopers'), the quirky chemistry wiz, etc. It all brings to mind the classic send-up of barracks stereotypes in Bill Murray's 'Stripes,' which knew enough to make fun of the idea and not wallow in it. The 3D animation is stellar, and especially impressive on the big screen. San Francisco has never looked better, and the film's posters don't really do the scenery justice. The film's plot is clever, combining elements of standard coming-of-age films with multiculturalism and a restrained central robotic character who is probably the most believable (in a science fiction way) aspect of the entire film. The writers are extremely adept at crafting 'Big Hero 6' into another sibling drama in the mold of 'Frozen' without tipping their hand that the entire plot is derived from the same theme. So far, so good. However, I'm not here simply to tell you how wonderful 'Big Hero 6' is, because there is no point to a review that serves as a de facto studio press release. If you are convinced that 'Big Hero 6' is flawless, there's no point to reading further, because this is the part of the review where we consider what didn't work as well as it might. Go see it, go buy it, and be happy if you have made up your mind that 'Big Hero 6' has no peer in the annals of animation. For the rest of you (whoever is left), 'Big Hero 6' has some weak aspects that may not become apparent until you think about them a bit. Those, however, are the parts of a film that linger when you reflect back on it, and they are what make this basically a kids' flick rather than something that will tend to absorb adults. So, it's time to play Devil's Advocate. The characters, especially that of Hiro Hamadi, are weakly drawn. We are asked to believe that Hiro is a noble robotics genius, but all we are shown is a bunch of erratic behavior and coincidences to which Hiro reacts with somewhat unbelievable feats of ingenuity that he must pull out of his... shoes. When he is tasked with showing his genius, the results become increasingly baroque, such as his unnecessary creation of supersuits for Tadashi's friends (who don't really achieve much of consequence with them). This is what is known as 'overkill' in establishing the hero's bona fides. A further problem with 'Big Hero 6' is that Hiro is both unbelievable as a real character and vaguely unsympathetic in general. He is full of technical ability but completely lacking anything resembling maturity. That he is portrayed as this master genius makes his comrades such as GoGo basically superfluous to the plot, though they are thrown a few bones here and there to keep them busy (there's that dog analogy again!). If Hiro has so many brains himself, what does he need these other fools around for? 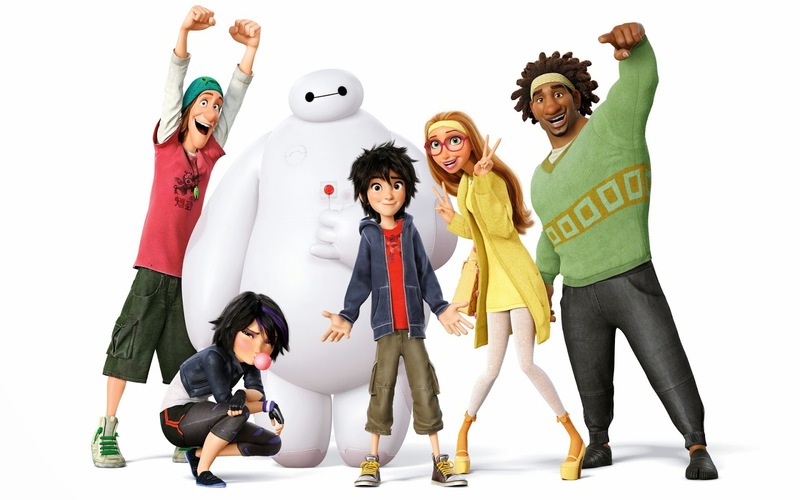 The other characters are not particularly funny - apparently the lesson of the Disney Renaissance that you need a joking gargoyle or eccentric candlestick or something like that for comic relief has been unlearned at Disney - and 'Big Hero 6,' with all of its microbots, robots and masked gangsters, badly needs more of that sort of human touch. There also is a touch of 'coincidence-itis,' with Hiro just-so-happening to run into his big brother's friends at just the right moment and so on and so forth. Overall, the 'friends' are a bit of a drag on the proceedings, and that is precisely what 'Big Hero 6' with its formulaic plot does not need. There also, somewhat surprisingly given the way Disney obviously is bending over backwards to diversify the cast, is not much of what could be called a 'feminine' presence in 'Big Hero 6.' They seem to have forgotten the 'war on women' part of the coalition. If there is anything resembling romance or passion or truly deep human emotion beyond rote "I'll get you, you dirty rat!" venom and characters who wallow in sentimentality because, well, they have to, it's difficult to discern. They do sort of haphazardly throw in a possible romantic interest - in practically the last frame. Well, that leaves something to do in the inevitable sequel, I suppose. 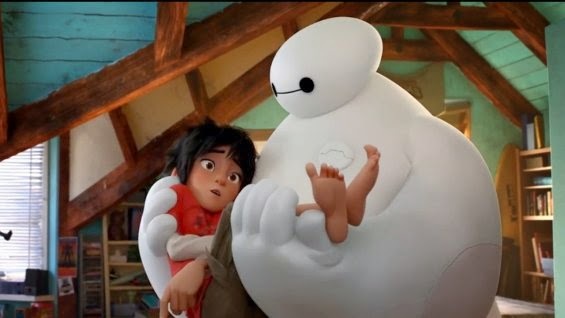 It also leaves 'Big Hero 6' emotionally barren at its robotic core. 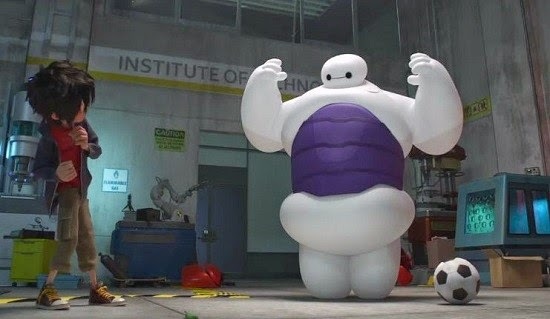 As a mystery, it is pedestrian (Baymax basically looks around and tells them where to go, which removes all suspense), and as a superhero flick it is clearly second-rate (at least with poisoned spiders biting our hero you get to see the character change and have to come to grips with his change, not some robot who changes whenever you plug something into it). What 'Big Hero 6' does have going for it is novel scenery, some tepidly jokey comrades and creaky science fiction tropes (really... microbots and teleportation?) that we've seen before in, quite frankly, better films. The directors, who as I pointed out above really are writers, get too cute with the script and never learned that a superhero flick requires something, well, super. 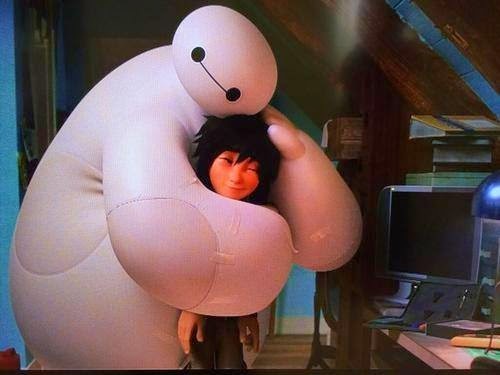 Baymax is cute more than super, and besides, he's nothing but a glorified toaster. Hiro erratically flying into a rage and trying to kill his enemy to no real purpose is symptomatic of the writers/directors wringing every last bit of juice out of a standard revenge theme that actually is bereft of suspense and simply is not sufficient to carry a truly great film. 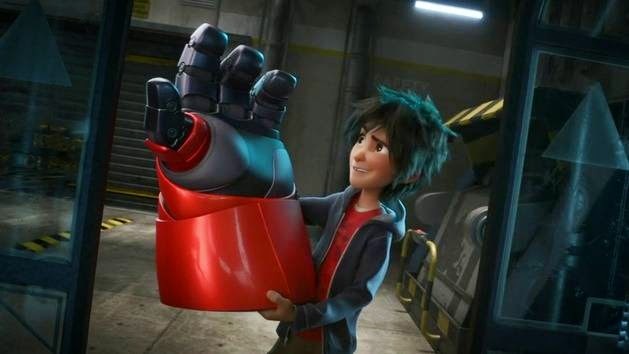 'Big Hero 6' is going to please undemanding viewers who want to see more multiculturalism from Disney and who mistake politically correct casting for creativity (but that may be all some in the audience care about anyway, and there's nothing wrong with that as long as there is more to the story). Let me emphasize my view here that multiculturalism is all well and good, but multiculturalism for the sake of multiculturalism, without something of high quality to back up, does not lead to good art, and that is what is going on in 'Big Hero 6.' The rabid attempt to be all things to all cultures only serves to obscure a tepid plot and under-drawn (not literally) characters. When you break it all down, 'Big Hero 6' is a rather prosaic tale of revenge and invention that simply isn't that interesting beyond a few clever gadgets and the usual brilliant Disney animation. The weaknesses of 'Big Hero 6' may not affect its own performance - my pet theory is that the box office success of each Disney animated feature film is due as much to the quality of the film preceding it in the canon as its own quality - but it is using up much of the goodwill built up from 'Frozen.' Let's just say that the next Disney movie after 'Big Hero 6' may face a more measured reception.